Are you fed up with trying to stick to a diet that you don’t enjoy, that leaves you feeling deprived and then guilty if you go off track? 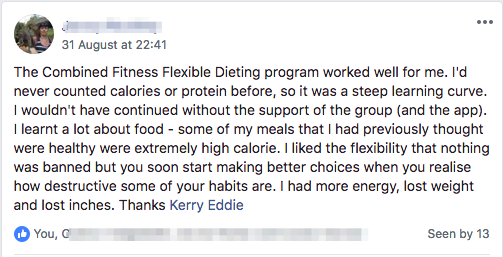 Flexible dieting a simple weight loss plan that allows you the freedom to eat any foods you choose as long as they fit within your specific daily macronutrient targets. It’s easy to follow with no complicated recipes, meal plans, or lists of ‘off-limit’ foods. Choose what you want to eat as long as you stay within your protein & calorie counts. The flexibility makes it easy to stick to whether eating at home or out and about. Flexible dieting allows you to indulge in your favorite foods making you less likely to beat yourself up when you go off track. It can get rid of hang ups you may have about food and feelings of guilt when you eat “un-clean” foods! 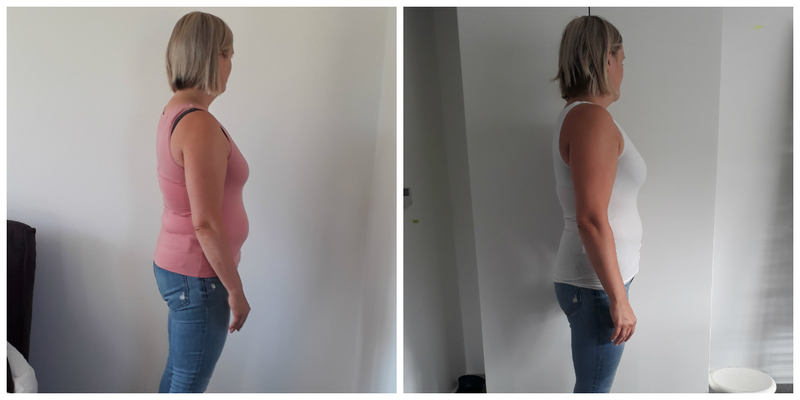 After years of working with hundreds of women who want to look and feel better I know that there is no one diet or approach that works for everyone. What does work is getting the correct balance between how much you eat and how well what you eat it serves your mind and body. As you want to feel good and perform at your best every day. 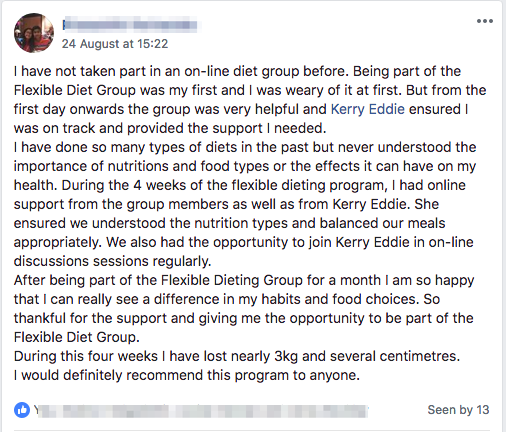 This is why I put together a flexible dieting programme with a support group to give women who are trying to lose weight the flexibility of food choice while educating and supporting them to stay healthy and eat more nutritionally dense food rather than junk food. 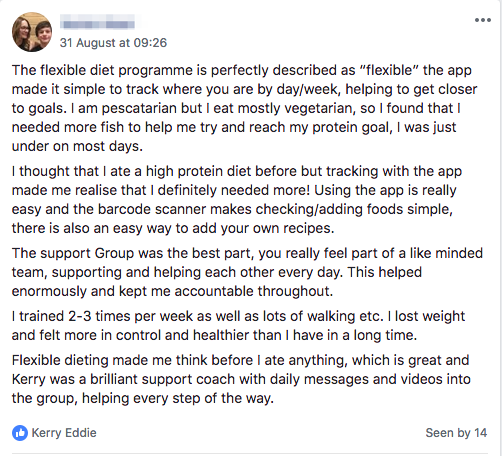 The programme is delivered online through a private Facebook support group. 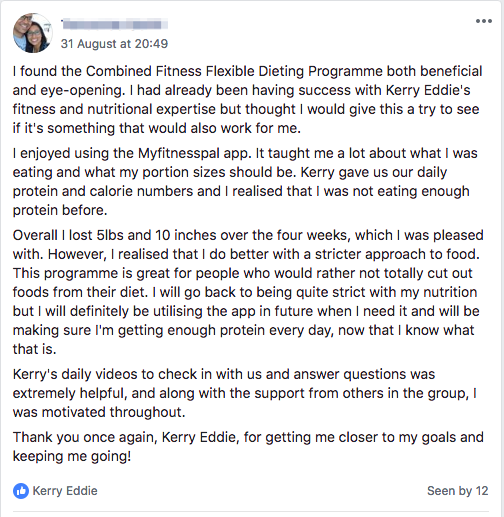 You’ll have coaching and guidance from me a female coach to help you get the most out of the programme, to answer your questions and push you to get the best results possible. Daily motivation and a Family of Like Minded Women going through the same programme pushing and supporting you to achieve your goals. 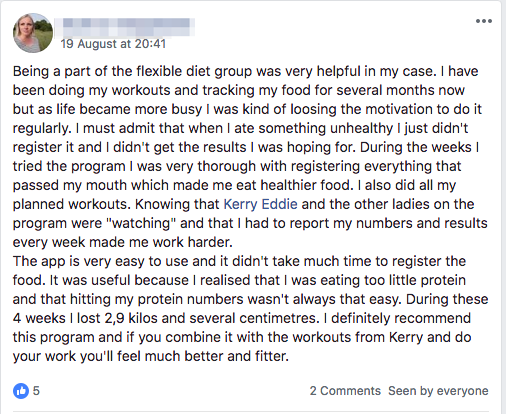 There will be accountability, with weekly check ins in the group to make sure that you get the results that you want..
> those who regularly find themselves binging and feeling guilty.